Here are the sewing instructions for the 12 to 13 inch baby doll dress. Here is the first dress I have created for my new Bitty Baby dolls. This is an easy to make dress for small, 12 to 14 inch, baby dolls. Last week, while watching television, I saw a short news item about a doll that mimics breast feeding. Any mention about dolls on television always makes my ears perk up, so I watched the story and was very interested in hearing about The Breast Milk Baby. This is a question I've returned to many times over the years, and the start of many discussions I've had with family members and friends. It is a question that is sure to result in an animated debate, no matter who you ask. Usually I try to make my doll clothes designs as simple and easy to make as possible, so doll lovers of all skill levels can enjoy making them. But this time I wanted a little more of a challenge and a slightly fancier result. Well, I'm at it again. It seems, when you are known as a maker and collector of dolls, that forgotten, unwanted dolls just somehow find their way to you. For the last several months the topic that is searched for most frequently on the Doll Making Site, here at BellaOnline, is definitely the Bitty Baby doll from American Girl. But I didn't have one. This is the story of my search for the perfect one. 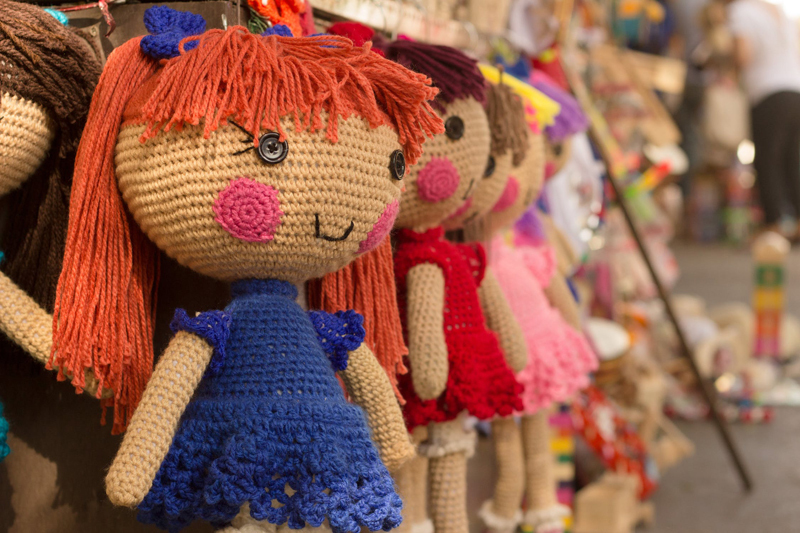 Here are the pattern pieces to make a pretty new dress for your Bitty Baby doll. It will work on 13 to 15 inch baby dolls with a similar body type. Here is the pattern to make a blouse for 15 inch Bitty Baby dolls. Here are the sewing instructions for the 15 inch Bitty Baby doll dress. This is a rather simple dress to make and can be easily embellished with ribbon or lace. Here are the sewing directions to make a blouse for Bitty Baby, or other medium baby dolls. This article is about the first doll I received as an adult, she was the start of my collection. Her name is Elizabeth and she is a porcelain, or china doll, with a music box inside of her that plays Brahms' Lullaby.